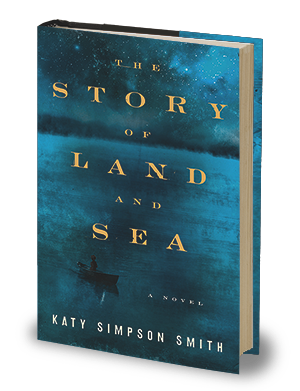 A debut novel by Katy Simpson Smith about the men left behind in late 18th Century America. At the end of the 18th century it was very common for women to die during childbirth. Many men had multiple wives, and fathers were often left to raise children on their own. During her dissertation research, historian and author Katy Simpson Smith became fascinated by the level of uncertainty and upheaval of this era. She wrote her dissertation about motherhood in the South during this time period, but later discovered that it was also the perfect backdrop for her debut work of fiction, The Story of Land and Sea (Harper/2014). The novel takes place in a small coastal settlement of Beaufort, North Carolina where two men who lost their wives to child birth grapple with love, death, slavery, religion, and their own masculinity. Host Frank Stasio talks to Smith about her novel and her lifelong fascination with southern history and storytelling. Smith will be reading from her novel at The Regulator Bookshop in Raleigh tonight at 7 p.m. and at Malaprops in Asheville tomorrow, Thursday, Sept. 18 at 7 p.m.